Your team and and what positions you have - be they staff or volunteers - are all tactics to reaching your no-kill goals. Marc Peralta of the No-Kill LA initiative discusses winning strategies for building and keeping a powerful, success-driven no-kill team- and how to do all of this to find great leaders. adoption procedures, impoundment requirements, volunteer duties, and all other aspects of shelter operations. This presentation was recorded at the 2016 Best Friends National Conference. 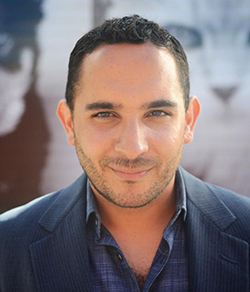 Marc Peralta is the executive director for Best Friends Animal Society-Los Angeles. He leads the Best Friends NKLA initiative, with the goal to make L.A. no-kill by 2017, as well as operations for the Best Friends Pet Adoption and Spay/Neuter Center and the NKLA Pet Adoption Center. Previously, Marc served as vice president and chief operating officer at the Pennsylvania SPCA (PSPCA) headquartered in Philadelphia, overseeing the operations of six facilities, including animal control for the City of Philadelphia and the PSPCA's Humane Law Enforcement Department. During his tenure, Marc was appointed by the mayor of Philadelphia as a member of the board of directors for the Animal Care and Control Team. Marc has also worked in animal care managerial roles at the Nevada Humane Society in Reno, Nevada, and the Humane Society of the Pikes Peak Region in Colorado Springs, Colorado.